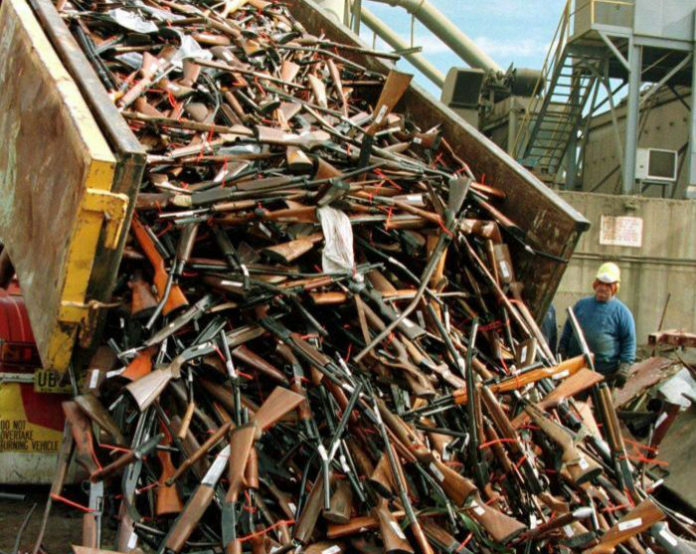 Almost 21 years ago, Australia passed tight gun control laws in the wake of the nation’s biggest massacre at Port Arthur, Tasmania. The 1996 National Firearms Agreement (NFA) and Buyback Program was instituted federally, regulating the type of gun ownership in the strictest of terms. Initially, the kickback against the laws by pro-gun organisations, advocating the rights of hunters, farmers and gun collectors was controversial, however with strong social and media support, legislation was passed by a federal government, led by then newly-elected Prime Minister John Howard, that once had little to do with firearms ownership laws. Then Prime Minister John Howard paying his respects to the victims of the massacre at Port Arthur, Tasmania. The strict controls effectively banned a massive range of considered deadly weapons. It followed less than 2 weeks after the Port Arthur Massacre that left 35 dead and 18 seriously wounded. On April 28, 1996, Martin Bryant, then 28, entered the Broad Arrow café in Tasmania’s Port Arthur, a historic penal colony tourist town, and used a semi-automatic rifle to gun down 12 of his victims. He proceeded to move through the gift shop, parking lot and gas station, armed with high-calibre firearms, taking down more of his victims. Martin Bryant, the man responsible for the Port Arthur Massacre that led to the Australian gun control laws. As a result, 12 days later, a vote was passed by federal and state leaders, restricting and prohibiting the sale and ownership of just about every semi-automatic and rapid-fire gun and rifle available on the market. A buyback program was also initiated, which saw over 700,000 voluntary hand-ins of weapons, costing the government around $230 million. What Are the Results on Firearms-Related Homicide Since? Two decades leading up to the Port Arthur Massacre, 112 lives were claimed in mass shootings. The two decades following the Buyback scheme and the NFA has seem firearms-related deaths plummet. Up until 2012, only “30 homicides by firearm” occurred per year nationwide. These statistics were comparable to the United States in the same year recording 9,146, and Mexico recording 11,309 annually. 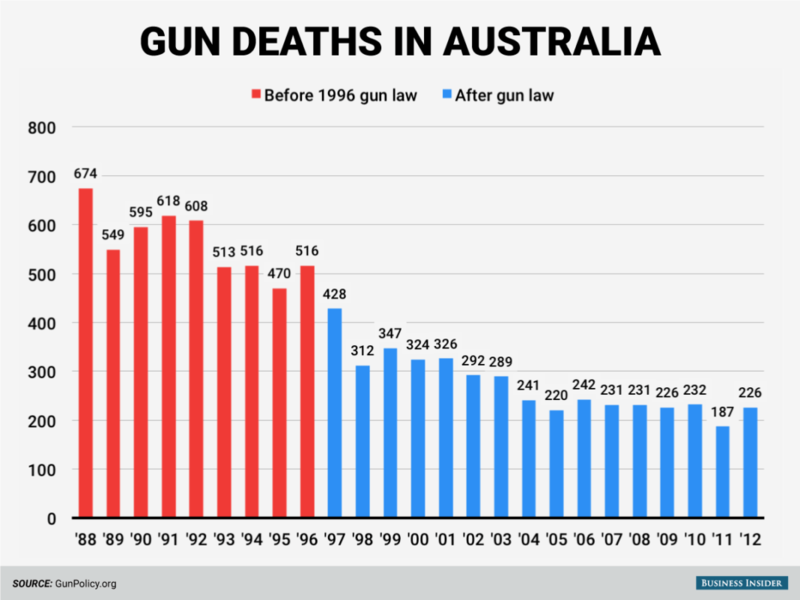 Up until recent May 2016 statistics, no fatal mass shooting have occurred in Australia since the implementation of the 1996 legislation. For the states that introduced the buyback scheme quicker – such as Tasmania – the correlation of firearm-related suicides dropped in relation. The United States, after the Orlando shooting that left 49 people dead, experienced a renewal in the gun debate. The divisive issue in mid-2016 saw the Senate supress four measures to limit civilian access to automatic weapons. Gun-related deaths were reported as 11.2 per 100,000 people in 2015, comparable to Australia’s 1.2 per 100,000 in the same year. While Australian farmers are still permitted their rifles; hunters still hunt; and competition shooters still have their handguns, the ban on semi-automatic and automatic firearms has marked a significant drop in firearms-related deaths that is difficult to dispute, according to Snopes. “If U.S. firearm homicide rates were only 10 times as high as firearm homicide rates in Australia, rather than 23 times as high, there would be substantially fewer homicides,” the JAMA commentary reported. 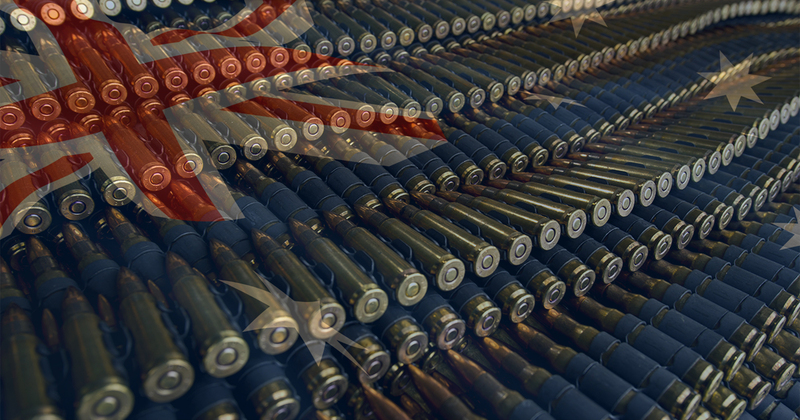 This article (Australia Celebrates 21 Years of Gun Control) is a free and open source. You have permission to republish this article under a Creative Commons license with attribution to Aral Bereux and DNewsHQ.